White is getting plenty of interest in the wake of his OSU decommitment. Josh White has picked up a half-dozen offers on the recruiting trail since his decommitment from Oklahoma State at the end of January, and OU is the latest to join the mix. 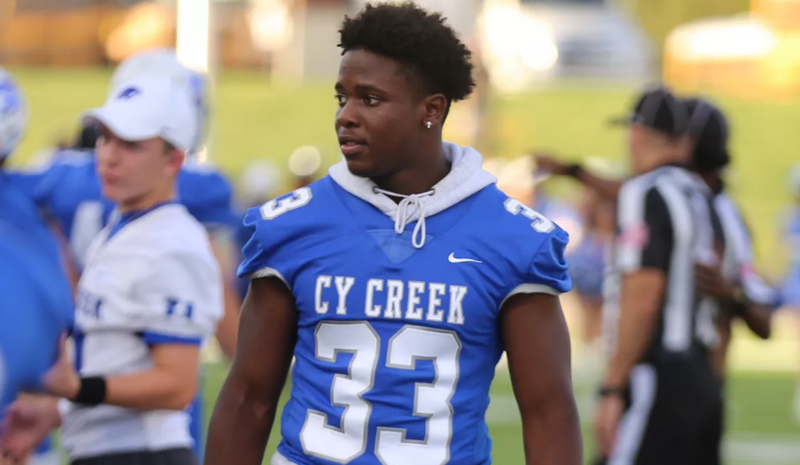 White, an outside linebacker from Cy Creek High School in Houston, Texas, is a highly-touted 2020 prospect. Auburn, UNC, Miami and Arkansas have also entered the picture of late with offers in the wake of his decommitment, joining the likes of Alabama, OSU, LSU and others who have had standing offers out to him since last year. At 6-1, 200 pounds, White is versatile, quick, and powerful as both a middle-man of a defense and edge rusher. He has Bundage-like talents and a similar frame/explosiveness. White backed off his long-standing commitment to OSU after a weekend trip to Baton Rouge led to speculation about his status with the Pokes back in late January. He did not issue a public statement about his decision, and has not done interviews about why he backed off his early decision. However, OSU is still involved, now battling with LSU, Alabama and OU, who are likely going to draw plenty of his attention in the coming months. White last visited OSU in the fall and committed a month after he landed his offer coming off the visit. OSU has made him a high priority in the 2020 cycle, where linebacker will be a focus, so the potential to play early at OSU could be a factor that keeps the Pokes in this until he makes a second commitment.